WASHINGTON, DC – Today, Congresswoman Cheri Bustos announced that her bill renaming the Post Office at 514 Broadway Street in Pekin, Illinois as the “Lance Corporal Jordan S. Bastean Post Office” has been signed into law. This bill reached the president’s desk after passing through the House and the Senate. Lance Corporal Bastean was deployed to Afghanistan as part of the 3rd Battalion, 7th Marine Regiment, 1st Marine Division, I Marine Expeditionary Force which was based out of Twentynine Palms, California. On October 23rd, 2011, during his first deployment, Lance Cpl. Bastean was killed while conducting combat operations in Helmand Province. 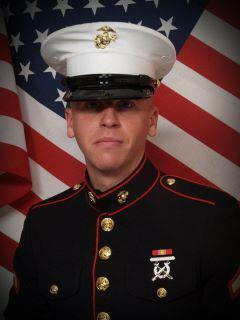 There will be a dedication ceremony at the Lance Corporal Jordan S. Bastean Post Office scheduled in the future.